Shelf Stable : Store in a cool dry place. Beatiful in color and delightful in taste, these dark pure sugar crystals are ideal for adding a sweet touch. Swizzle Sticks are an elegant alternative to ordinary table sugar, used to sweeten and garnish coffee, latte, espresso, cappuccino and tea. 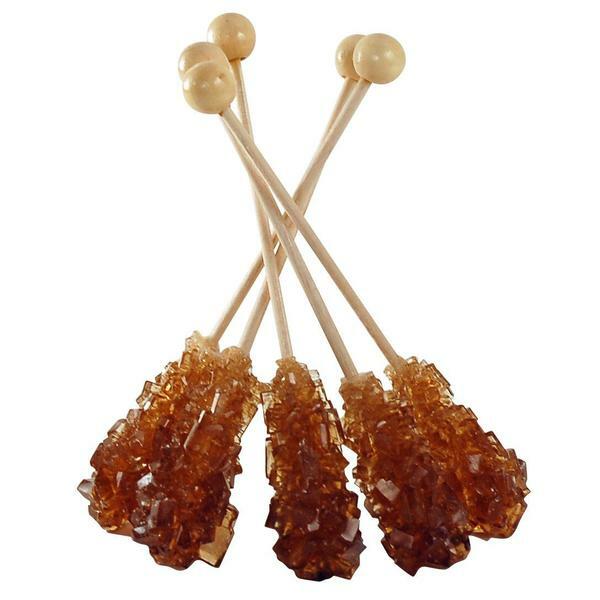 Rock Candy sugar imparts a smooth, more cordial sweetness to after dinner beverages.